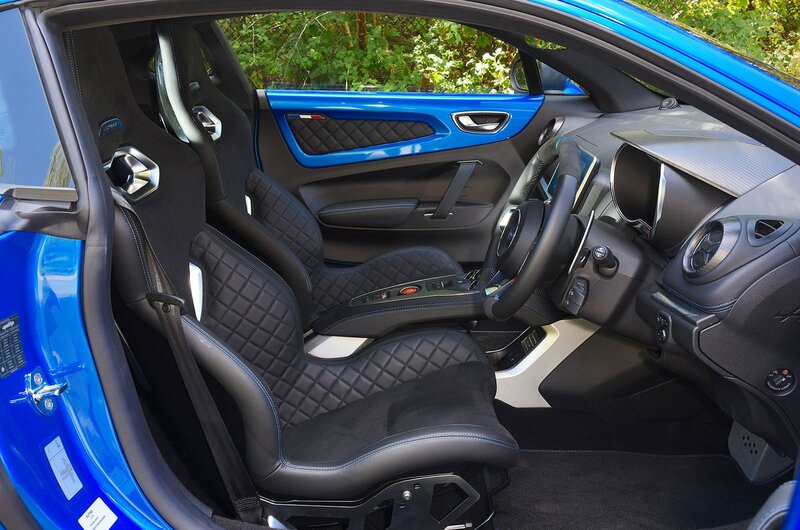 Alpine A110 Performance, Engine, Ride, Handling | What Car? For the moment, there’s just one engine: a 1.8-litre four-cylinder turbo with 249bhp, hooked up to a seven-speed dual-clutch automatic gearbox. That may not sound like a lot of power (it’s around 50bhp down on the Porsche Cayman and 2.0-litre Jaguar F-Type), but at 1098kg in Pure trim, the A110 is much lighter. Even a well-equipped example weighs about the same as a basic Ford Fiesta. That means it’ll scoot from 0-62mph in a rapid 4.5sec before eventually hitting 155mph. And you don’t have to rev the engine to its red line in every gear to make swift progress; maximum pulling power is developed from just 2000rpm. Yes, there is a slight pause between pressing the accelerator and power finding its way to the rear wheels (that's turbocharging for you), but it's not enough to be irksome. And if you’re worried about how the A110 sounds, don't be. There’s an enthusiastic roar (especially in Sport and Track modes) when accelerating, followed by evocative popping and crackling when you take your foot off the loud pedal on the right. In short, it sounds like a proper sports car and significantly fruitier than either the current F-Type or Cayman. While some might bemoan the lack of a proper manual gearbox, there’s a lot to like about this automatic one. In Comfort mode, it slurs between gears smoothly, even if it can be unwilling to change down should you need a sudden blast of acceleration. Sport mode sharpens the shifts and holds low gears for longer, and Track forces the gearbox into manual mode with no automatic upshifts when you reach the engine's limiter. It’s this final, most aggressive mode that’s the most satisfying, because the 'box swaps gears with little hesitation as you pull the steering wheel-mounted paddles. We reckon the Cayman’s PDK automatic gearbox is slightly better, though. But what impresses most about the A110 is how it handles. The steering is lighter than you’d expect from a modern sports car, but allows you to place the A110’s nose with millimetre accuracy. Flick to Sport or Track mode and the steering weight is increased, but not excessively so. Once you’ve got used to its weight and relaxed your grip on the steering wheel, you start to feel the intimate details of the road’s surface through your fingertips. 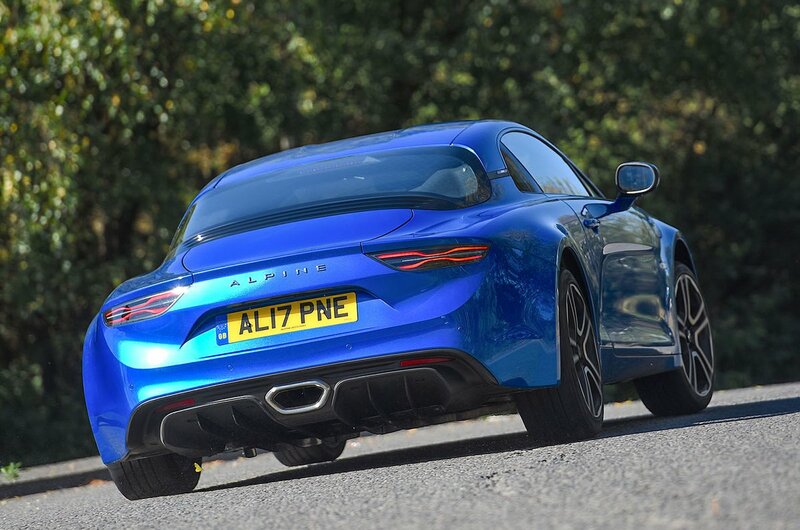 The A110 is much more communicative than the F-Type and even the Cayman. Even so, there’s never any unruly tugging as you pass over poor surfaces, and the body control is nigh on second to none, even when compared with extreme supercars, such as the McLaren 570S. Should you go beyond the limits of the tyres’ grip, you’re notified immediately, allowing you to deal with the situation quickly and confidently. When the A110 starts to slide – this happens at lower speeds than it does in the Cayman – it does so in a progressive, neutral manner. It feels as balanced and athletic like a ballet dancer, and even the Cayman feels heavier by comparison. In a nutshell, the A110 is one of the most entertaining and rewarding cars you can buy – regardless of price. Ride comfort is acceptable. 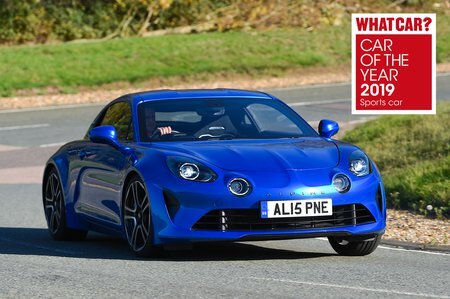 It’s no magic carpet – you still know the bumps are there, especially around town – but the A110 doesn't crash over potholes or jar too much, and actually deals with typical pockmarked British country roads very well. A Cayman is slightly more supple if you specify the optional adaptive dampers, but not by much. Once you take into account its minimal wind noise and an acceptable level of tyre roar at speed, the A110 is actually a surprisingly relaxing car to cover long distances in.